I absolutely love the book Loser by Jerry Spinelli. The main character Donald is such an interesting kiddo. 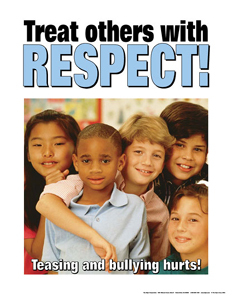 I also like for the students to get a prospective on how to treat others and this book is helpful. With all of that being said, we started our Lit Circles yesterday. We read the first 6 chapter of the book and discussed what each job was again before I sent the students off on their own. I took my jobs from something that I had purchased from teacherspayteachers earlier in the year. I keep up example posters for each job so the students know what I expect. Since it was our first day, I gave them a little extra time to work on their job for the day. I also took some time to discuss and share with the class the paper the leader of the group will fill out each day for participation. ﻿ When the classes came to me today, we did the meeting with our group and sharing aspect of the Lit Circles. I had to stop them almost immediately because I had forgotten to how the circles should look. The students were just sitting there reading off their papers and not actually having meaningful conversation. I explained to them that they should be having conversations about the book, like when they leave a movie and discuss it on the way home. 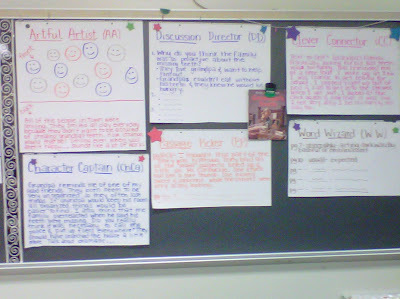 Also, that their papers were just a resource or a helper for their discussions. I was very impressed with my homeroom TITLE class after that. The conversations they were having were priceless. I just love to walk around and eavesdrop listen to & join in on their discussions! I love that you have multiple groups reading the same book. We have a series now...but when I did lit circles...there were times I'd have five groups with different books. It was hard for me to keep ahead of the reading!